Every time we celebrate the Feast of St. Therese of the Child Jesus (October 1st), I always wonder why the Church has made her the patroness of Missions. 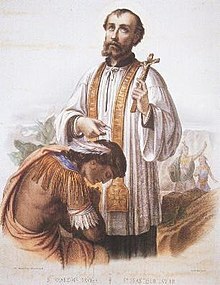 Actually, unlike St. Francis Xavier, her co-patron of the Missions who is well known for his extensive work of evangelization in many countries, especially in Asia, St. Therese never left her convent for mission. Thus, the question: why such choice? It is true that, on the one hand, we are used to looking at mission as departure for faraway lands. Indeed, mission comes from the Latin verb mittere, that means “to send” or missio, which is “the act of sending” which implies the departure. On the other hand, there is another aspect of mission, unfortunately often overlooked: Mission as a real experience of God. I do believe that this is the reason why the Church gave us St. Therese as patroness and model for Mission. 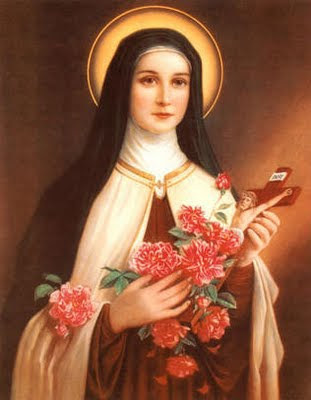 St. Therese had a deep life of prayer and communion with missionaries that made her co-sharer of the work of mission. Her intense spiritual life was characterized by humility and living the ordinary life in an extraordinary way: the “little way” as she herself called it. She put it clearly this way: “By our little acts of charity practiced in the shade, we convert souls far away, we help missionaries, and we win for them abundant alms; and by that means build actual dwellings spiritual and material for our Eucharistic Lord.” (St. Therese Quotes) Furthermore, even if she could not go to Mission, she was praying wholeheartedly for missionaries and for the people being evangelized. With my little missionary experience, I came to understand that this real experience of God is the basis on which one can ground the mission of Christ. It is, indeed the solid rock that Jesus describes in the Gospel: “And the rain fell, and the floods came, and the winds blew and slammed against that house; and yet it did not fall, for it had been founded on the rock.” (Mt 7:25) Our healthy spiritual life enables us to reach out and go towards others, filled with the energy coming from God who in the end is the one sending us. Without putting a dichotomy between the two figures of mission, St Therese and St. Francis Xavier, I believe that we can manage to put them together. In reality, the two saints represent the two aspects of mission: action in contemplation and contemplation in action. They should be definitely the model of all missionaries. Certainly, we may say that the heart of St. Francis Xavier embodied the prayerful heart of St. Therese and the heart of St. Therese embodied St. Francis’ fire of mission. In fact, once you are in relation with God, you cannot help but go and proclaim the God News. As missionaries, we are not supposed to go to proclaim our own ideas, but the message of the One who sends us and this is the fruit of a long encounter with Christ himself.